For the curious among you: The Wellcome Collection's Danny Birchall has written a very nice conference report--as excerpted above--about last month's ‘Contemporary Medical Science and Technology as a Challenge to Museums’ EAMHMS Congress in Copenhagen. Click here to read full report on Danny's blog "Museum Cultures." 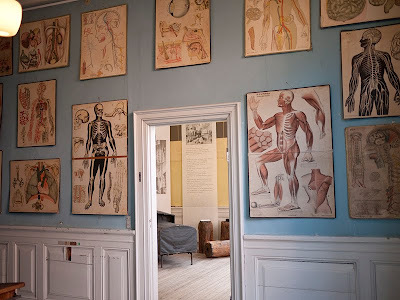 Image: Installation view of Medical Museion, the host institution in Copenhagen.